UnderCover is the Godfather of hinged tonneau covers and is the de facto standard. 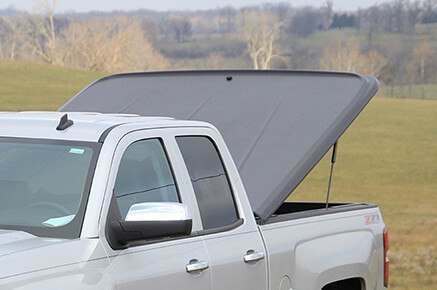 Lightweight and extremely easy to lift, these tonneau covers are made for fit, utility and personality. 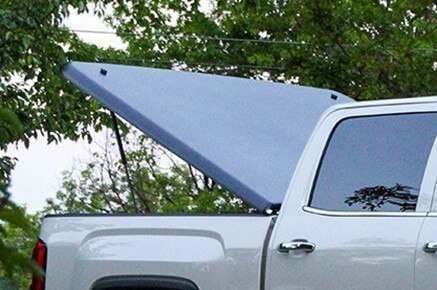 If you see a hinged truck bed cover on the road there's a very high chance it's an UnderCover. Smooth styles are paintable for a true custom appearance. 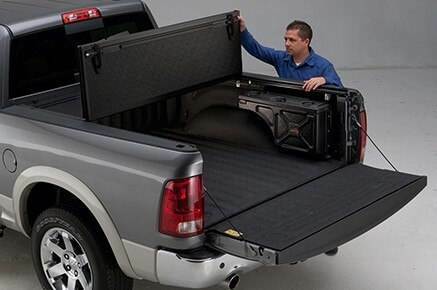 UnderCover Flex Folding Tonneau Covers incorporate a unique folding hard cover design that increases the durability level. The cover opens in sections accommodating access to a portion or all of the truck bed to to facilitate cargo requirements. They also can be propped in the fully open position to facilitate over-sized cargo or to pull a fifth wheel trailer. The sleek flush mount design enhances the overall appearance of the truck when the cover is closed. The weather-tight construction protects the truck bed and cargo from the elements. 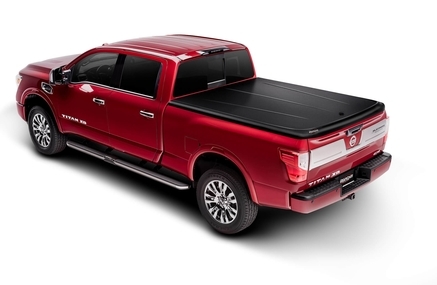 Topped with an alluring matte finish, this tonneau cover isn’t just stylish but boasts of so many additional features. 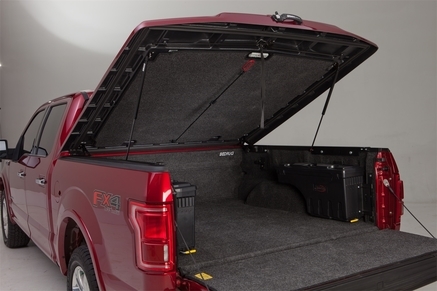 UnderCover Classic Hinged Tonneau Covers are very durable due to the automotive grade ABS construction. The solid truck specific hard cover is extremely lightweight to facilitate the opening and the removal process. They have a weather resistant water-tight design that provides a very high level of protection to the truck bed and cargo that is being transported. The installation process is quick, easy, and exact fit based on the year, make, and model of your truck with no tools required. 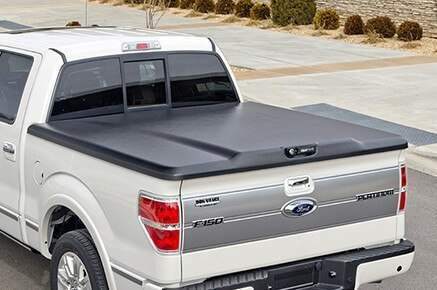 UnderCover Elite Hinged Tonneau Covers incorporate a unique aerodynamic design that is raised to enhance its appearance. The integrated bolt locking system can be keyed to use the truck ignition key for your convenience. A versatile LED work light is included that can be removed and used for several different functions. It includes a hook to hang it, a magnet that holds it to metal surfaces, or it can just be hand-held. A wall mount is also included for convenient storage in the garage without taking up valuable floor space. 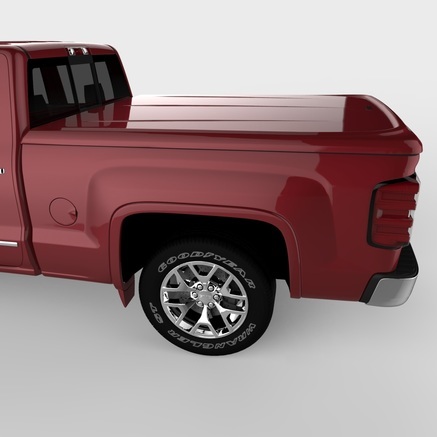 The Elite Smooth truck bed cover is shipped with a gray, paintable surface, perfect for those that want to paint it to match their truck's color. Designed and engineered meticulously, this cover is built to deliver excellent results to truck owners today. 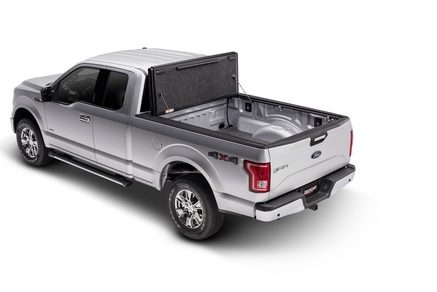 UnderCover SE Hinged Tonneau Covers incorporate a sleek and very durable ABS design that enhances the appearance, keeps out the elements, and provides an exact fit. The gas struts and single point locking mechanism facilitate the easy one-hand opening process. A battery operated LED cargo light provides ample lighting during periods of darkness. A unique wall mount is also included to conveniently hang the cover on the wall of your garage when it is removed. If the SE is the cover you want, but you also want it painted, this is the one for you. Made with a gray paintable surface, this truck bed cover can easily be painted to match your factory truck color. If you're looking for a classic painted tonneau cover, the Elite LX may be exactly what you're looking for. The LX version takes luxury a step further with a carpeted headliner. Includes a double seal and an X-effect design for an incredibly strong truck bed cover. 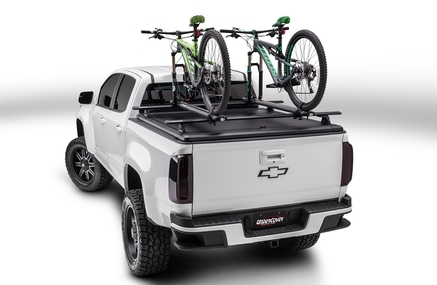 Protecting your truck bed cargo has gotten better with the use of this tonneau cover that brings in protection and style. Protect your cargo from harmful elements on the road and prying eyes. 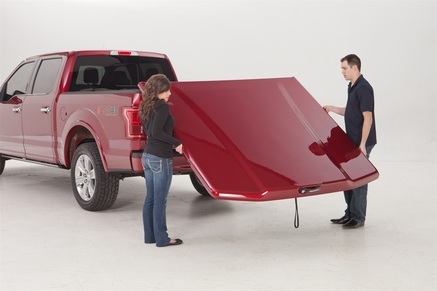 This tonneau cover is built-to-last you for years delivering maximum protection. 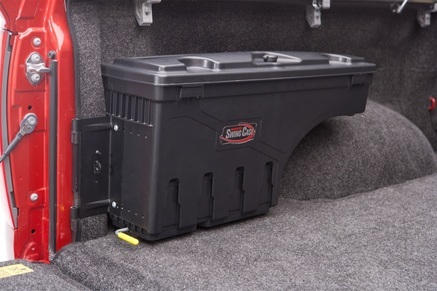 This storage bag changes the truck bed storage game as it allows you to make use of the wasted wheel well space. The good news is that this swings out for your convenience and it is also very easy to install. You can guarantee that this one will last you for years as it is made of durable material. 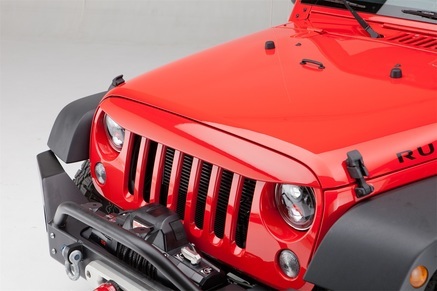 Make your Jeep stand out without exerting too much effort on your end, with this grille trim, you will be able to level up the overall appeal of your vehicle as easy as 1-2-3. To make it even better, it is made of tough material that can last you for years! Owned by Truck Hero, UnderCover is in great company with sister brands Advantage, BAK, BedRug, Extang, Retrax and others. 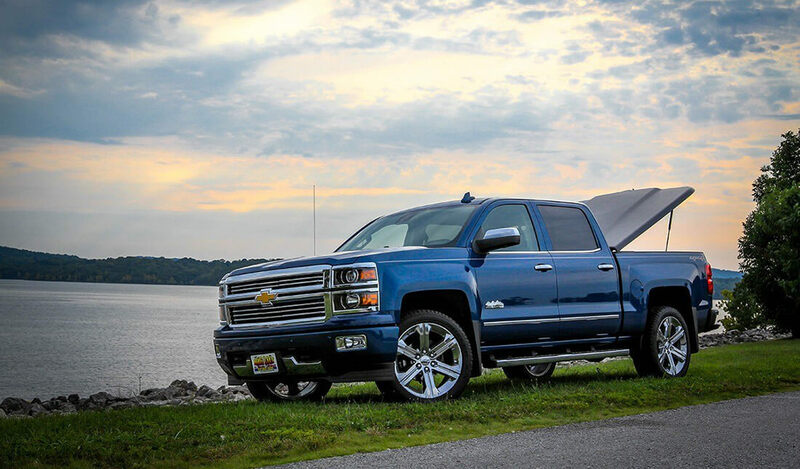 With the world's leading brands under its belt and a number of truck bed patents, you can be assured that UnderCover uses only the best product engineering and styling for the best hinged truck bed cover on the market. PartCatalog.com is a proud retailer for UnderCover. For more information on UnderCover, please visit the UnderCover official website.